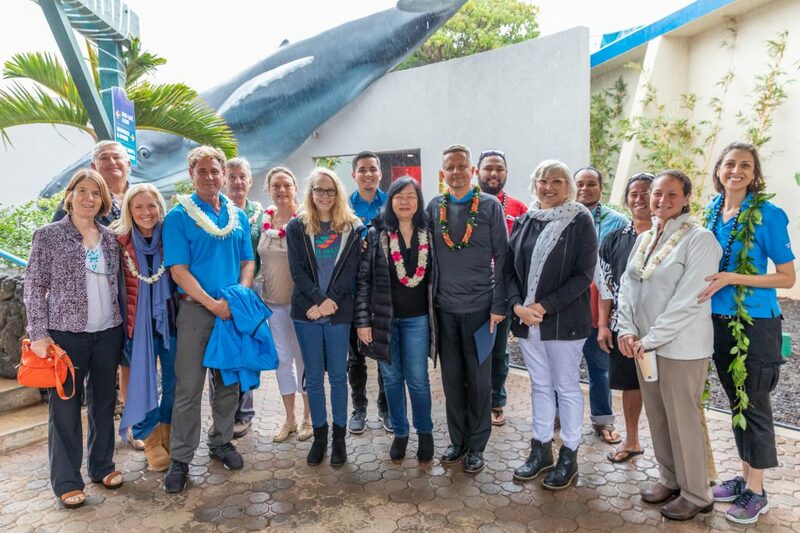 February 10, 2019, WAILUKU, MAUI, HAWAIʻI – Maui Ocean Center today held a blessing in celebration of the grand opening of its “Humpbacks of Hawaiʻi” Exhibit & Sphere. 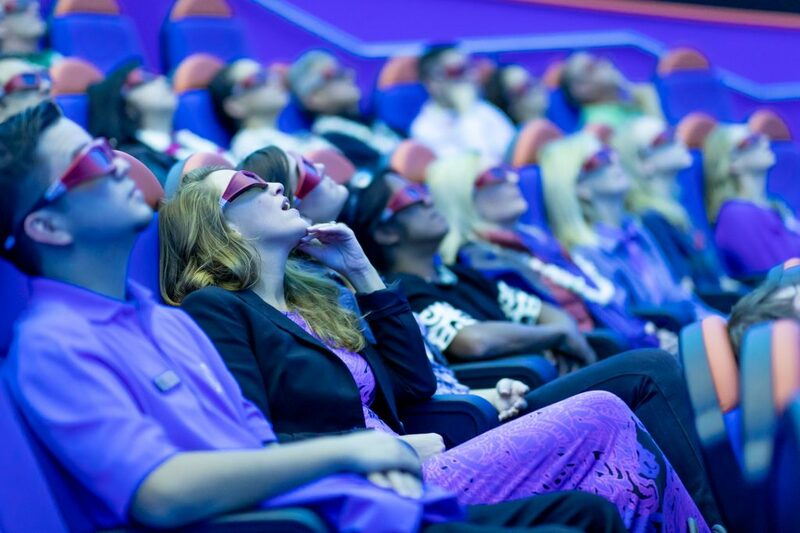 The first-of-its-kind-inHawaiʻi 3D sphere cost several million dollars to develop and marks a new era in the confluence of technology and marine observation, using underwater videography and 3D imaging to give viewers a glimpse at these creatures’ behaviors beneath the surface. “Humpbacks of Hawaiʻi” offers a new and exhilarating dimension to Maui’s famous whale watching season, breaking the barrier of the ocean to bring guests eye-to-eye with Maui’s humpback whales in their home beneath the waves. South X Southwest (SXSW) has heralded the “Humpbacks of Hawaiʻi” film as the world’s first audiovisual 1:1 recreation of existing reality. The prestigious arts, technology and culture showcase named “Humpbacks of Hawaiʻi” a finalist for the SXSW Interactive Innovation Award. 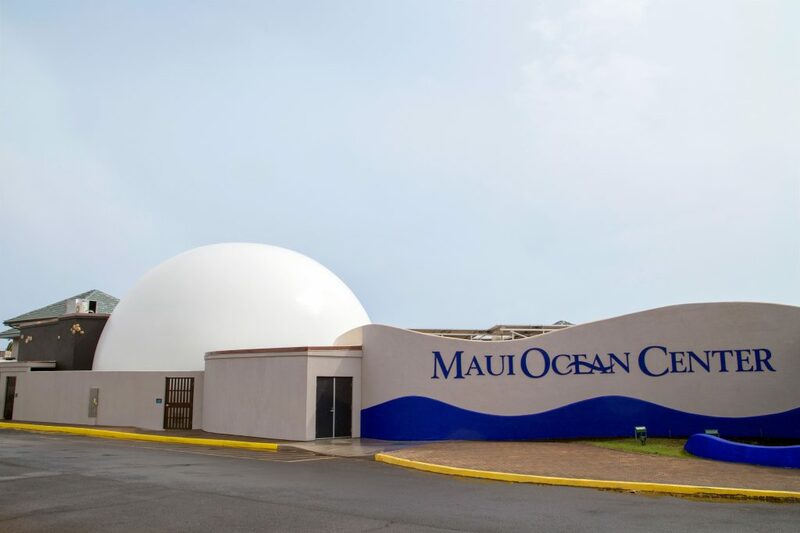 To visit “Humpbacks of Hawaiʻi” Exhibit & Sphere at Maui Ocean Center, and for more information, please visit mauioceancenter.com or call (808) 270-7000. All filming was done in compliance with the National Oceanic and Atmospheric Administration (NOAA) permits and supervision.